Have you ever put your hand into a fish tank filled with guppies? They nibble on your fingers, but they are so small that their bites don’t hurt. Leave your hand in the tank long enough for your skin to get soft, though, and the guppies can begin to inflict damage. Unapproved projects. We all tend to be good at rank-ordering large projects, but small, non-emergency maintenance and enhancement efforts can fly under our radar, with the result that no one knows their relative importance. Lacking a good process, IT staffers will grease the squeaky wheel. In addition, most IT professionals genuinely want to help people and therefore will say yes to a request for a small change or addition. The cumulative yeses can have a real impact, though. When enough resources are diverted to small efforts, IT’s ability to work on the large, official projects can be hampered. First-line managers in small organizations can probably track the way their staff members spend their time. They usually understand each person’s duties well enough to be able to discourage work on unapproved projects. Large, mature organizations, however, may need to implement time accounting to achieve the same result, and that probably won’t be well received by the staff unless the rest of the organization tracks time as well. In any event, it is essential to make IT’s position on unauthorized efforts clear and to watch for even small slippages on the deliverables for established projects. In addition to tracking how staff spend their time, it can be useful to limit the number of staff assigned to support each group or system. This accomplishes two things. First, IT staffers who work on understaffed teams learn pretty quickly that small requests interfere with their work and are more likely to want a mechanism to rank requests. Second, limiting support provides an opportunity to reassign staff to projects that create new IT services. Another alternative is to charge for services delivered. Most buyers, being rational, will pay only for services they value. Like time accounting, however, this works best in larger IT organizations that have the resources available to manage chargeback. Poor technology purchasing practices. IT organizations that ignore vendor management can let costs run away from them. At a minimum, you should review all invoices to ensure that you’re not paying for services you never received. A quick payback can come from a review of your telecommunications bills. They are notoriously long and complex, so it’s easy to overlook charges for phone lines and services that are no longer used. It’s also a good idea to map vendors against the IT architecture to make sure that each technology component has a clear purpose, with little — and, ideally, zero — overlap of functions. Remember that the payback will reach beyond the cost of the technology itself, since redundant products consume staff support time. An excellent control is to limit the number of people with authority to purchase IT products and services. Having fewer buyers makes it easier to coordinate and aggregate purchases across the organization while facilitating vendor negotiations. And since all buyers should have training in contracting and financial modeling, you’ll save money there as well. Internal processes that aren’t clear. Good internal IT processes make everyone’s job easier. Knowing who is responsible for providing each service increases efficiency. Just as an example, your IT staffers won’t have to spend valuable time as “service concierges” who direct users to the person best able to solve their problem. When IT processes are well thought out and understood, less time is needed to manage operational activities such as a security incident or a password reset. And organizations that use ITIL, COBIT or the Software Engineering Institute’s project management disciplines can automate many common operational processes with tools based on these standards. Of course, IT processes must be followed to be effective. Anytime someone bypasses official processes, the results can range from irritating to devastating. The executive who demands an equipment upgrade in advance of a scheduled refresh is irritating, but the one who halts a major project in favor of a different project causes a great deal of unplanned work and can demoralize the IT staff. While politics are often tricky to negotiate, at least make sure your management team knows about major derailments. Ill-suited infrastructure. Inefficient infrastructure kills productivity while frustrating everyone. Improperly sized equipment wastes resources. Servers, disks or other equipment that are too large transfer too much of your department’s money to vendors. Equipment that lacks adequate capacity wastes IT staff time on endless tuning in a vain effort to increase throughput. Ineffective licensing also reduces infrastructure efficiency. One IT organization had purchased Microsoft Office licenses as it acquired new PCs, until it ended up operating five versions of Office. When it asked an executive to install Visio from a disk, the executive ended up flustered because the Visio and Office versions were incompatible. IT had to smooth ruffled feathers and then wasted several more hours finding and installing the right Visio version. This situation arose because, in analyzing the costs and benefits of an enterprise Office license, had ignored the cost of such frustrating scenarios. Poorly run meetings. Meetings with no agenda, the wrong people or poor follow-up are a waste of time — and are frustrating enough that productivity can slide in other areas. If your IT organization suffers from poor meeting management, fix it. As lean manufacturing experts know, any unexamined system becomes inefficient over time as requirements evolve. And as the inefficiencies mount, they increase user frustration. Most IT staffers are so pressured to keep systems operational that they address symptoms without taking the time to examine the entire process and correct the underlying problems. Correcting the underlying problems reduces inefficiencies and allows IT to redirect people and money to more productive activities. 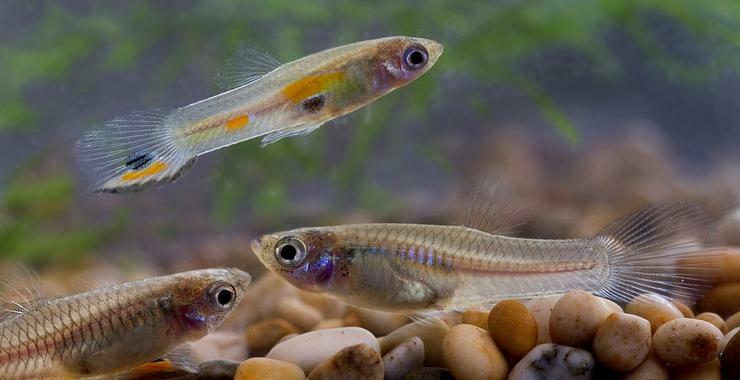 Each inefficiency may be as small as a guppy, but their cumulative effects can be devastating. Eliminate the IT guppies so you can fry bigger fish. I have heard them called both terms. It just depends on the organization. I used concierge merely because I am consulting to a company that offers “concierge service” to their best customers. Bart Perkins is managing partner at Louisville, Ky.-based Leverage Partners Inc., which helps organizations invest well in IT. Contact him at BartPerkins@LeveragePartners.com.